(Newser) – You've heard of Dow Chemical. You've heard of DuPont. Prepare to forget both as single entities: Assuming regulators give their blessing, the two will merge into one chemical behemoth to be known as DowDuPont. At least for a while. 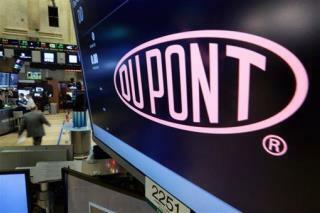 As the Wall Street Journal reports, the plan eventually calls for DowDupont to then split into three smaller companies via tax-free spinoffs. The two existing companies have more than three centuries of history between them, notes the New York Times, and this merger would be the biggest ever in the chemical industry. Once completed, the split into three smaller companies would take another two years or so. They need a catchy name. How about DowPoo? or EwPoo? I'm waiting for the merger with Kraft.